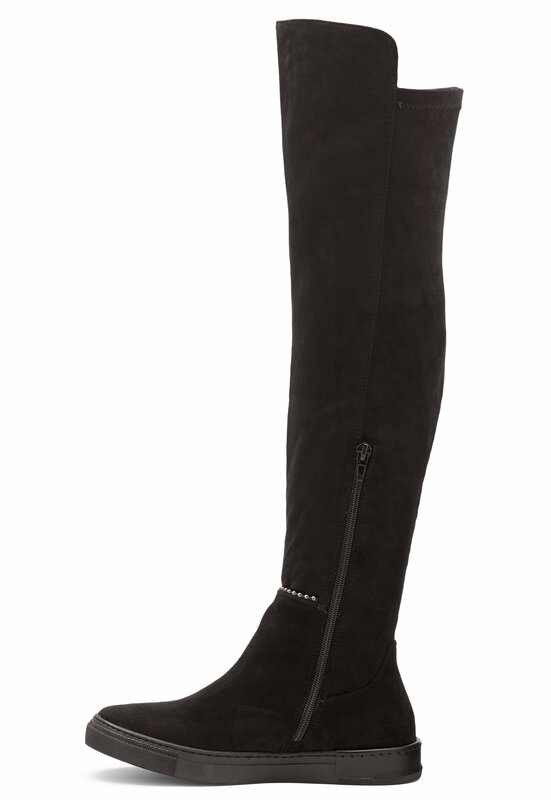 Elegant overknee low boots from FRANCESCO MILANO. Elegant pearl details with shaft higher at front than back. 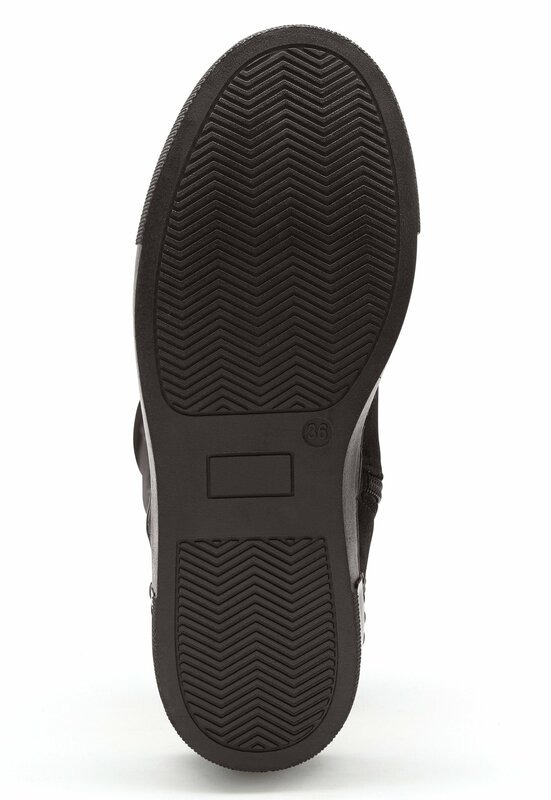 - Round toe - Short zipper on inside shaft - Pearl details - Low sole Sole height: 3 cm.